Some 150 people gathered at St Mary’s Cathedral last Saturday, 2 April to celebrate Mass as part of the International Day of the Unborn Child. Led by Auxiliary Bishop Don Sproxton, the event, which is co-ordinated by Perth-based pro-life organisation Pregnancy Assistance, has now been celebrated in the Archdiocese for 10 years. Originating in Argentina, the International Day of the Unborn Child was established by then-Pope John Paul II to coincide with the Feast of the Annunciation. In 2016, the event also coincided with the 11th death anniversary of the now-St John Paul II. John Paul II viewed the day as "a positive option in favour of life and the spread of a culture for life to guarantee respect for human dignity in every situation". 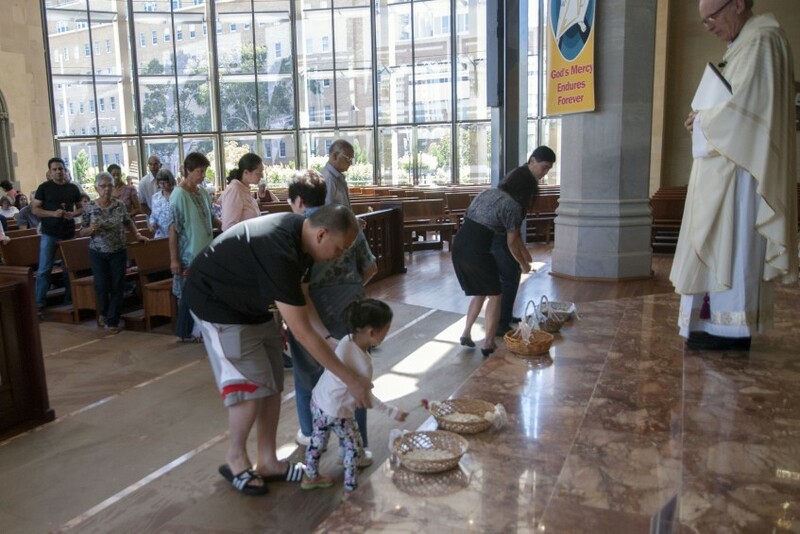 As part of the celebration, those who attended were given a flower and invited to put it into baskets on the sanctuary to remember children who had died at birth through miscarriage, stillbirth, abortion or other causes. 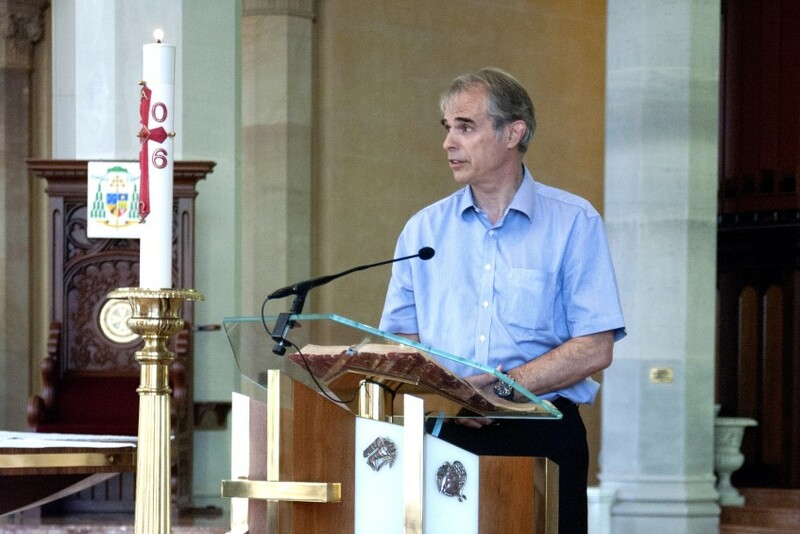 In his homily for the occasion, Bishop Sproxton spoke about his own experience, telling of an aunt and uncle who lost a child and the devastation they suffered. “One day, not too many years after the opening of the Pinnaroo Cemetery in Whitford, I walked through one of its sections where I noticed the large number of graves of babies and young children,” Bishop Sproxton recalled. “Some of the babies had been alive for only a few days or months. I was astonished at the number, and I had a real sense of the sadness and grief that must have been felt by their parents. “The numbing grief would eventually fade but the memory would persist and leave a mark on those parents,” he said. Bishop Don went on to say that, as he came away from the cemetery, he questioned how can parents who have suffered the loss of a child, be supported. “Many years later, I became aware of the practice in some of our parishes where people were invited to participate in a Mass to pray for their children who had died before, during or after their birth,” Bishop Don said. Bishop Don also spoke about the work of Pregnancy Assistance, which aims to help women and couples experiencing crisis pregnancy. “This is bold work,” Bishop Don exclaimed. “It takes great courage and determination which all involved can draw from the Holy Spirit, especially when the voices from our individualistic society focus only on the rights of the mother. It is hard work and, still, there are miracles where hearts are changed,” he said.